This entry was posted in Uncategorized on December 28, 2014 by Gary. Rather than the usual market wrap I wanted to talk about biases today. First off I realize that most of the subscribers here are gold bugs. 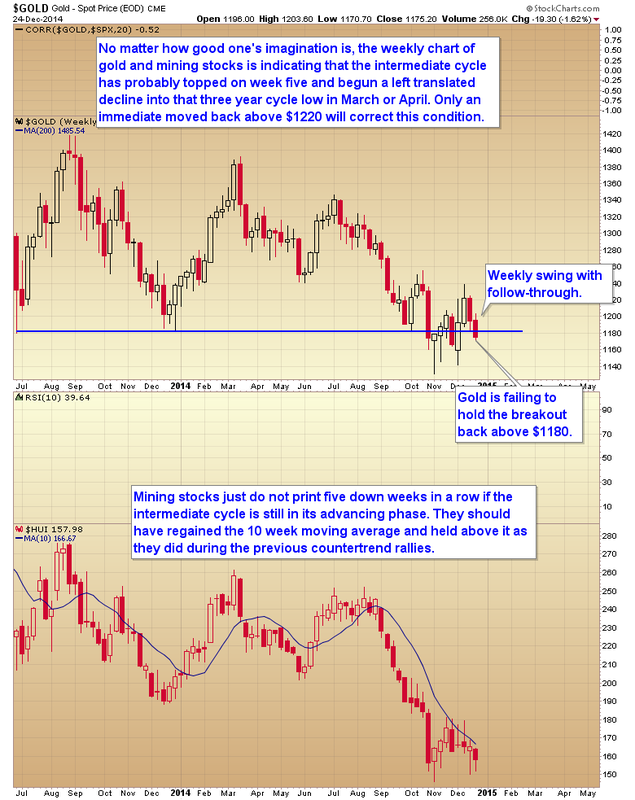 As such all of you want me to tell you that gold is going to bottom, and then you want me to make gold go up. If I can’t do those things then you probably aren’t happy. Here’s the problem, I can lie to you and tell you that gold is going up, and that may make you feel good, but if it doesn’t go up you are going to lose money. 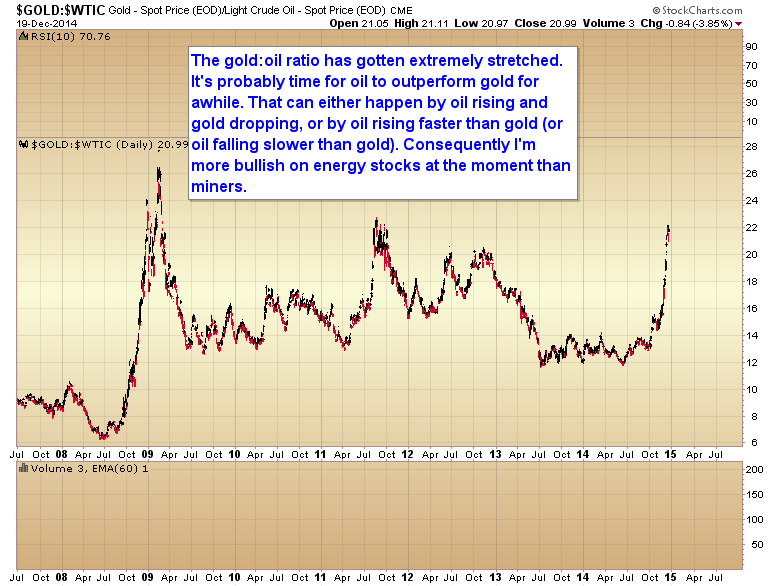 And I suspect that if you lose money the joy you feel from me assuring you gold is going to go up will quickly fade. So all in all I think it’s better I don’t lie to you and give you false hope. 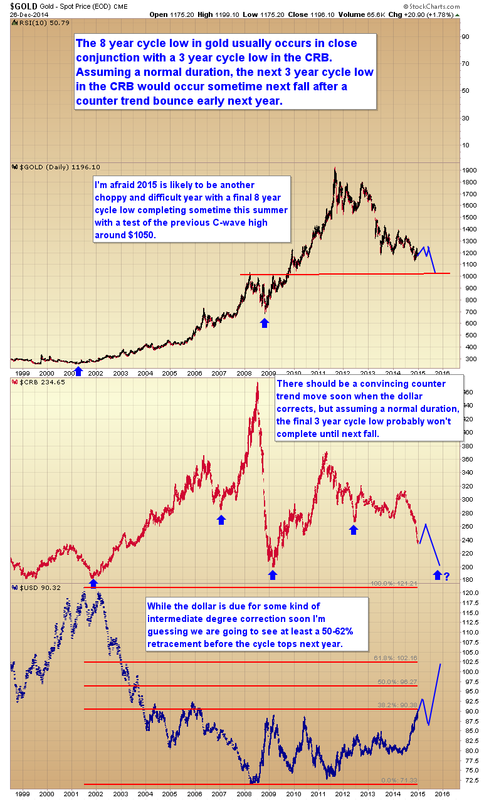 Yes I do think gold will eventually go up, way up, probably over $5000. What I don’t know is when that is going to start. 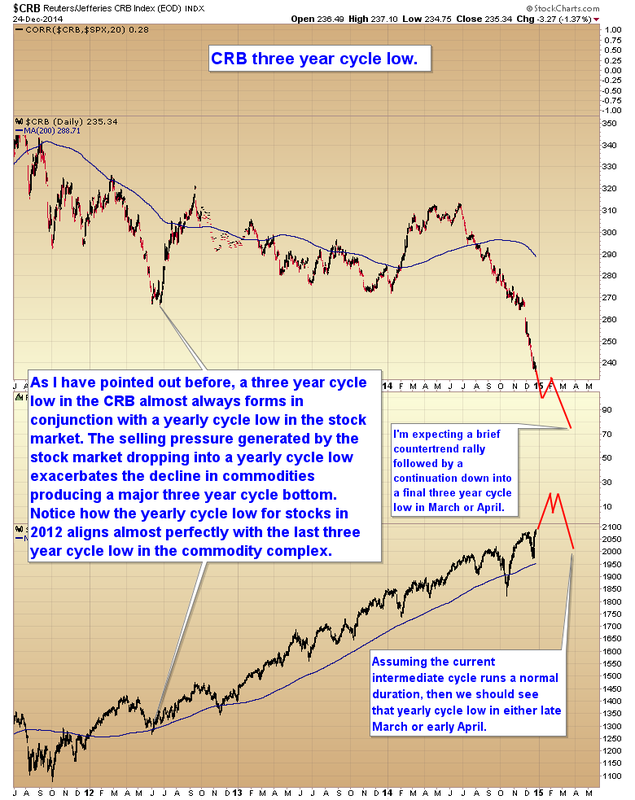 If this bear market is like most, then the sector is probably going to have to suffer a bankruptcy phase. This is a period of time where prices just drop to absolutely absurd levels. Levels that no one can conceive of being even in the realm of possibility right now. 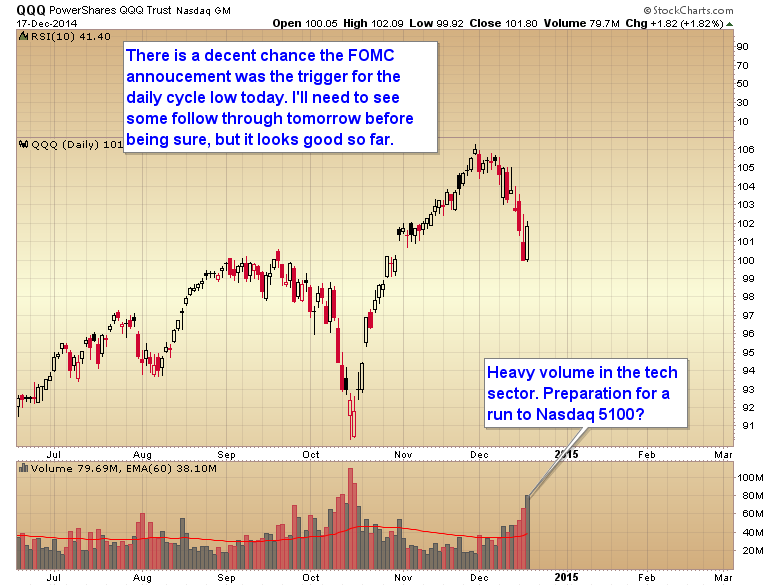 That could very well occur as the stock market enters a bubble phase. That would be a terrible one two punch as gold bugs watch while everyone else gets rich and their chosen asset just goes lower and lower. 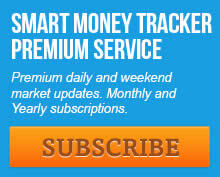 I also know that many of you are vehemently against investing in the stock market. 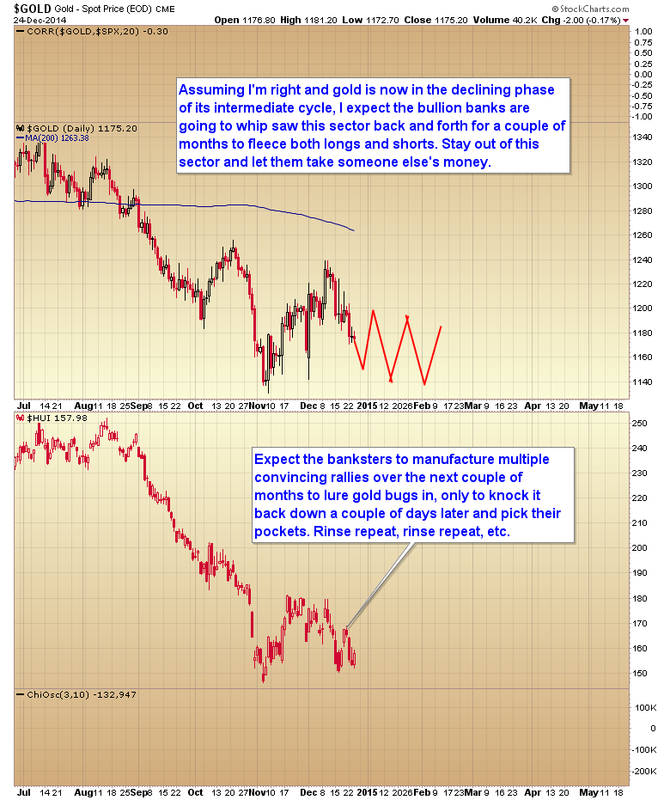 It’s the anti gold trade so to speak. 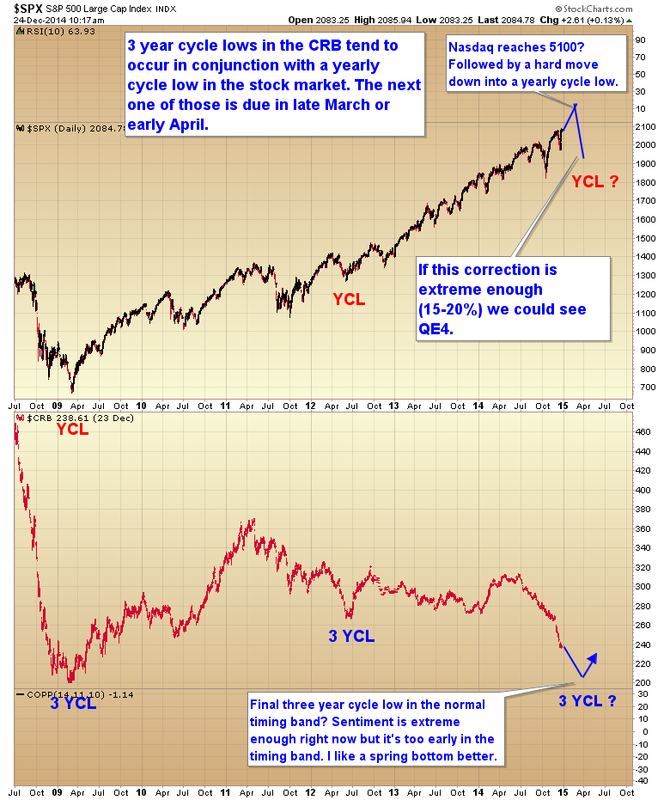 For many of you all you can see is an imminent crash around every corner. But here is the thing. 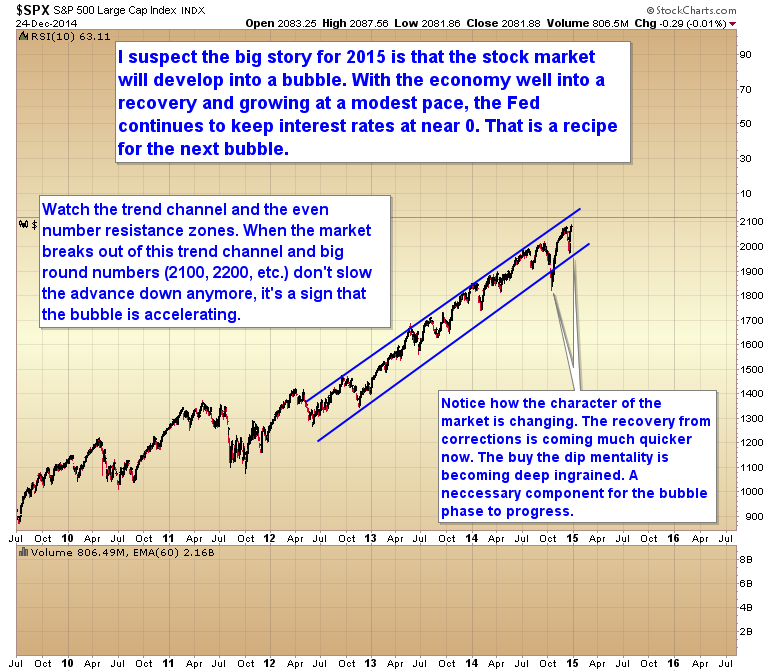 I think stocks are entering a bubble phase. 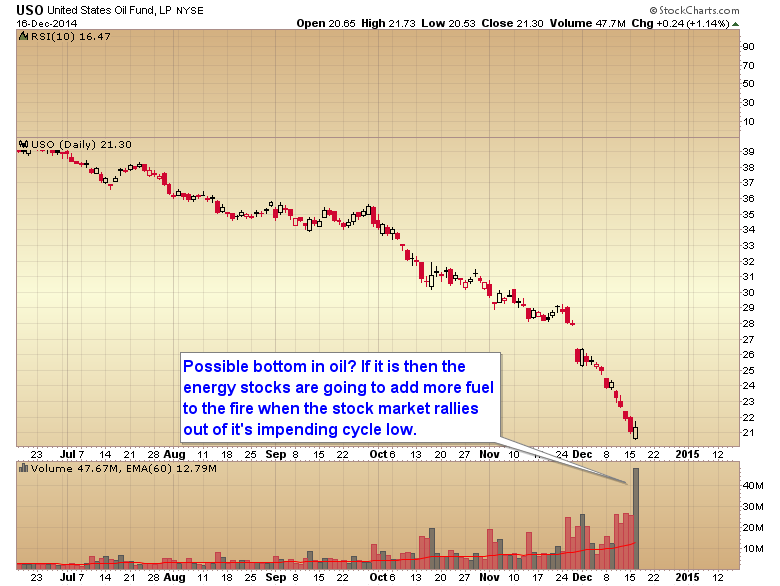 And a bubble phase in any asset is that rare period of time where big money can be made very quickly. 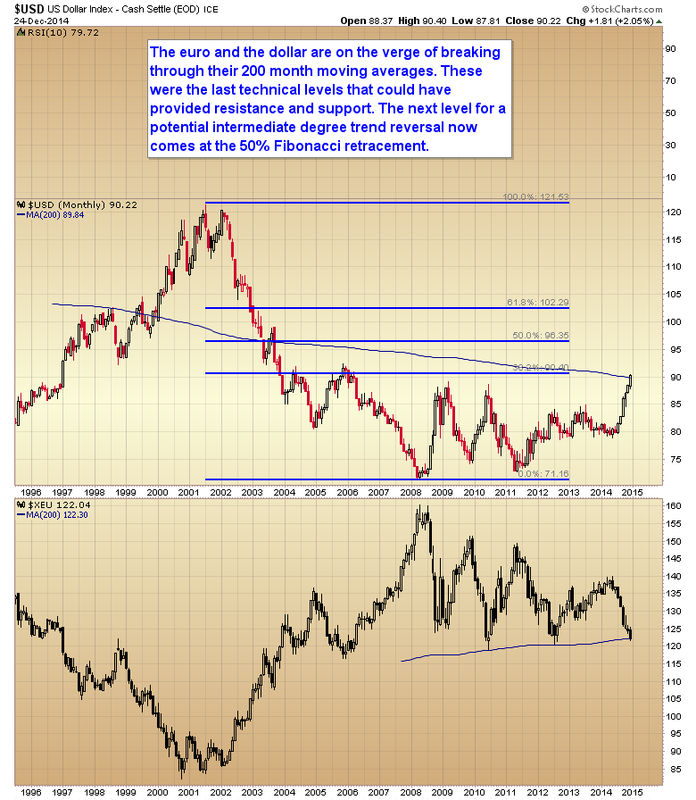 If we were entering a bubble phase in gold I suspect none of you would have any qualms at all about participating. So I’m going to suggest that traders check their biases for the time being and allow themselves to make some money off the stock market. 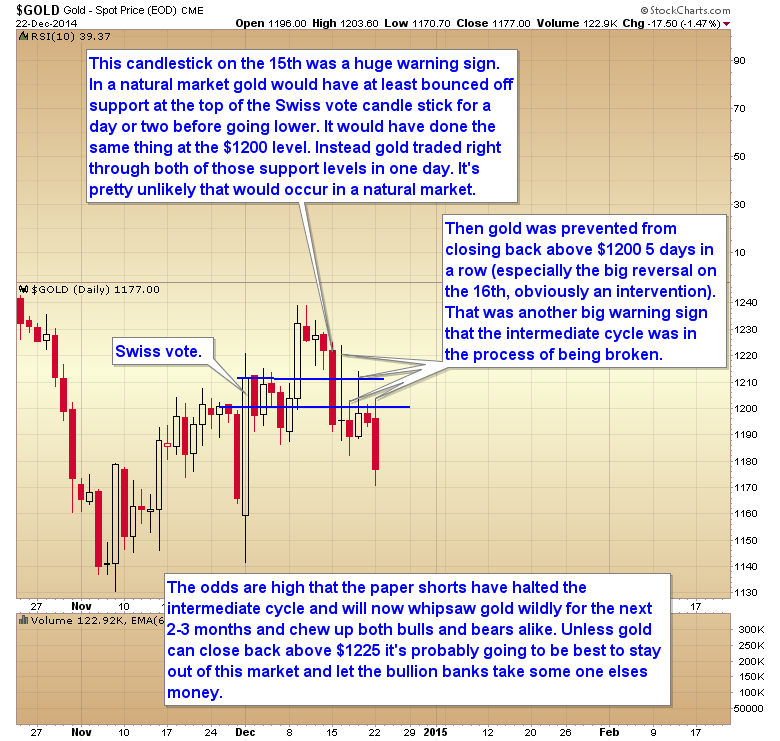 There will be plenty of time later to make money off of gold once the fundamentals shift. Trust me it isn’t going to runaway from us and leave us at the station. We can have the luxury of letting an entire intermediate cycle pass us by and still enter at the bottom of the next ICL and be fine. 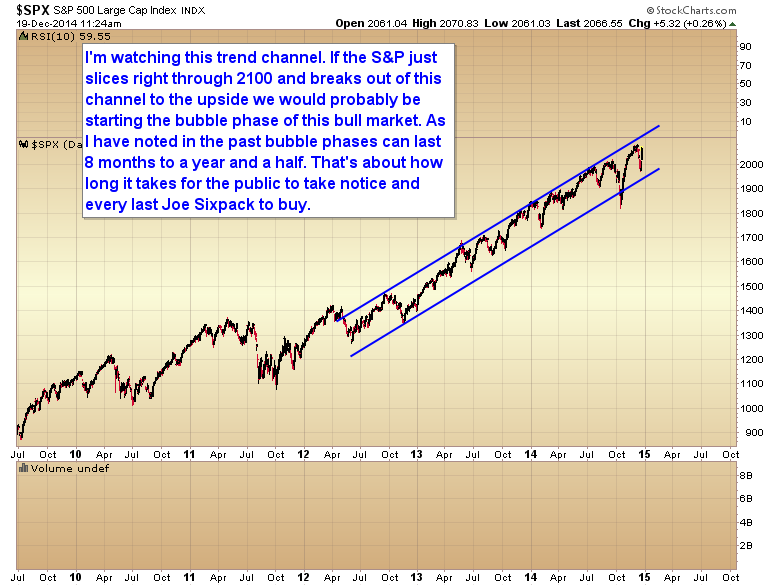 But if you miss the bubble phase in the stock market it will likely be years before the next one comes along. 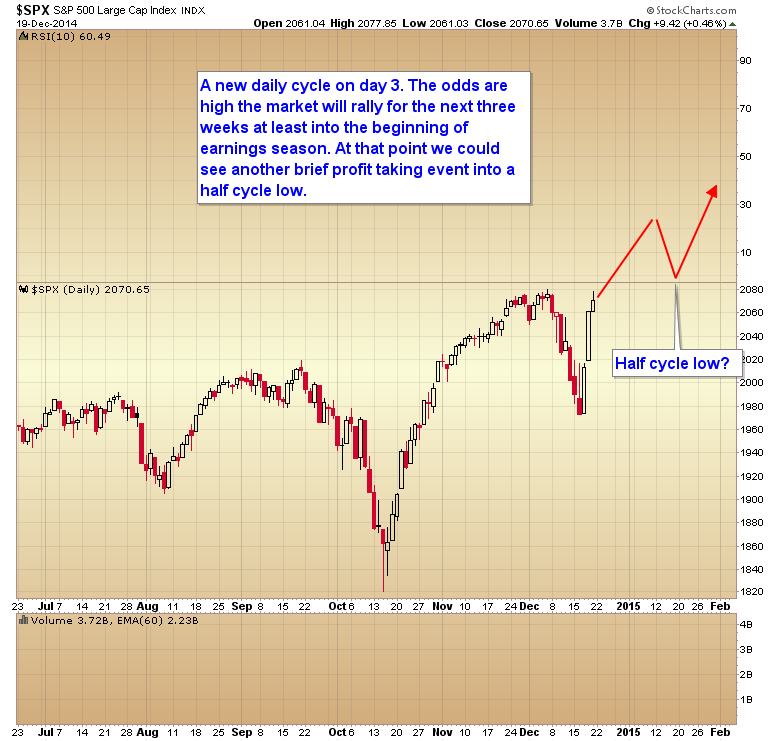 At the moment we are still very early in a new daily cycle. 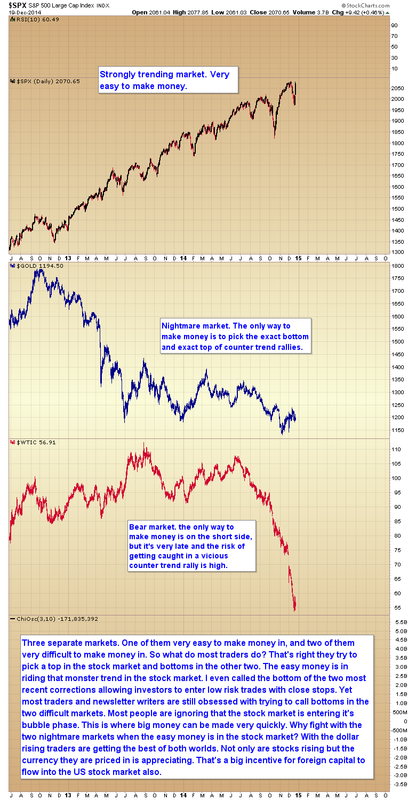 Our stops are reasonably close, yet many of you continue to get whipsawed to death by the banksters in the metals. You need to make the decision to get off that train. Let the banksters take some one else’s money for now. Instead of competing in a market that is clearly being manipulated against you (the banksters even appear to have capped an intermediate cycle before it could break the intermediate trend line), decide to trade the market that is being manipulated in your favor. This entry was posted in Uncategorized on December 25, 2014 by Gary. This entry was posted in Uncategorized on December 24, 2014 by Gary. This entry was posted in Uncategorized on December 23, 2014 by Gary. This entry was posted in Uncategorized on December 22, 2014 by Gary. This entry was posted in Uncategorized on December 21, 2014 by Gary. This entry was posted in Uncategorized on December 20, 2014 by Gary. This entry was posted in Uncategorized on December 19, 2014 by Gary. This entry was posted in Uncategorized on December 17, 2014 by Gary.